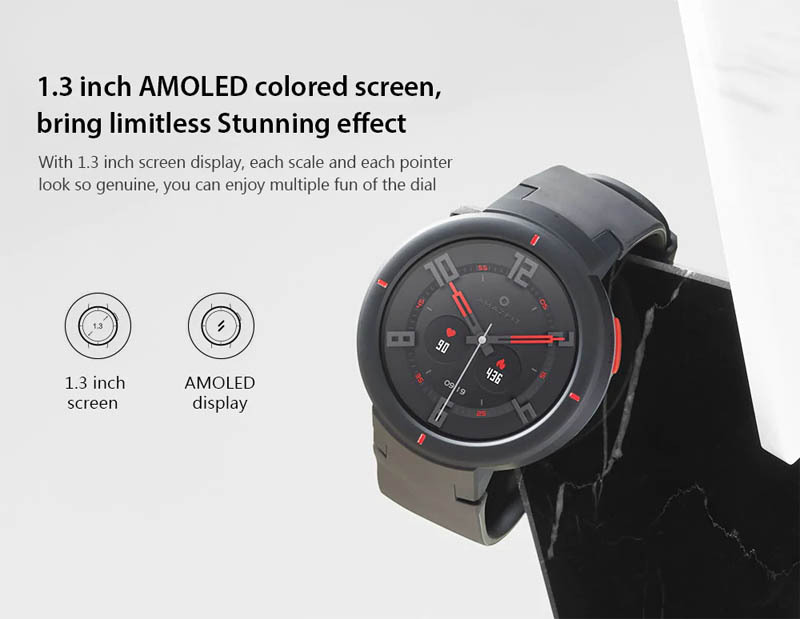 - Large Color Display: 1.3 inch AMOLED screen. 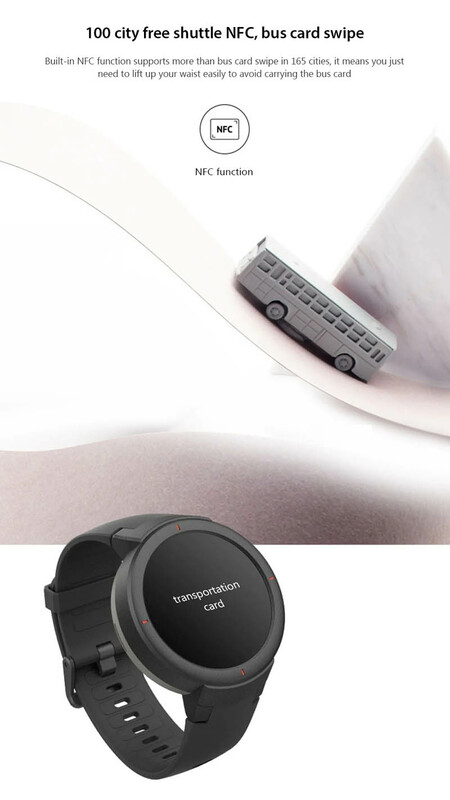 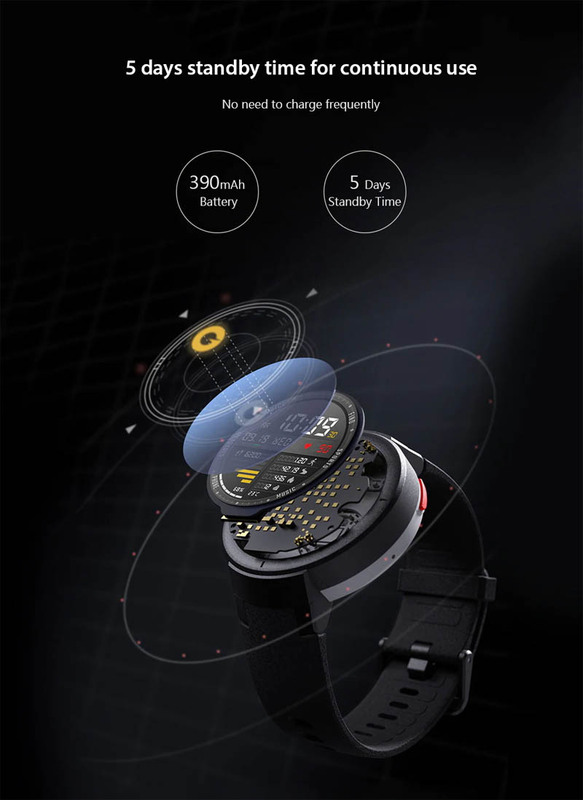 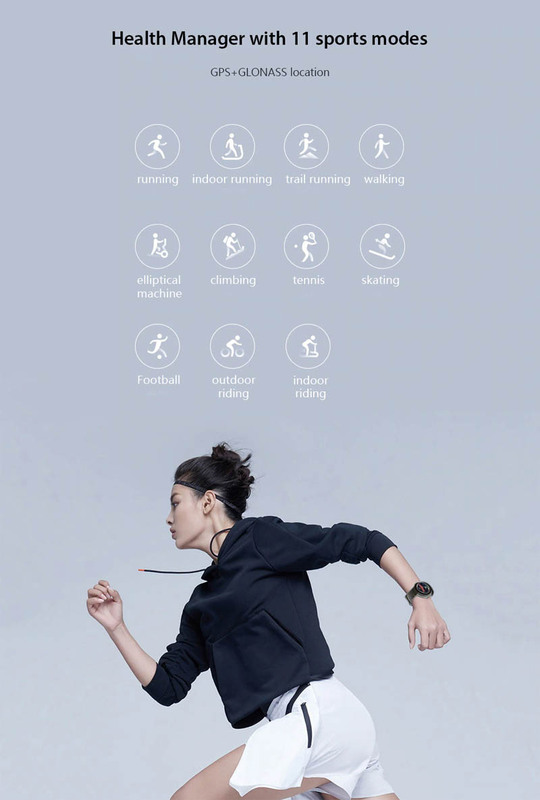 - 11 sport modes & GPS+GLONASS double star positioning, accurately record your movements. 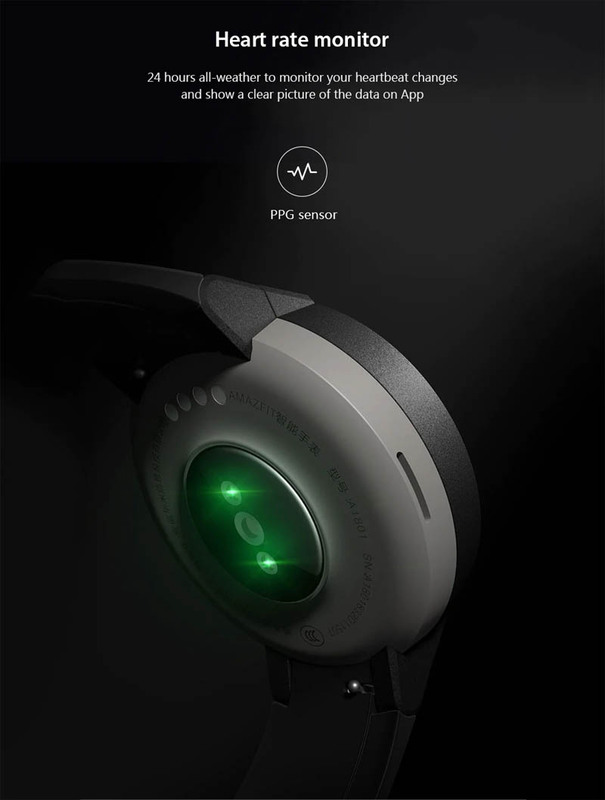 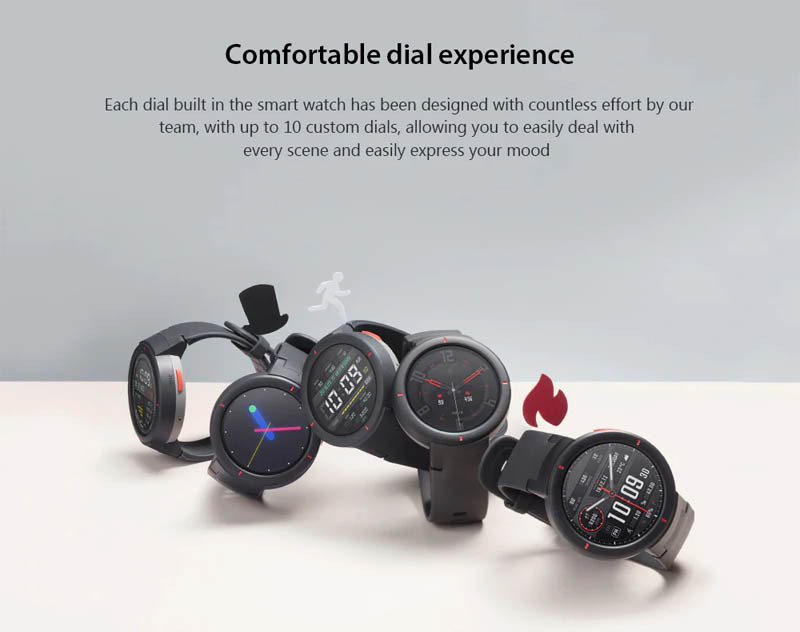 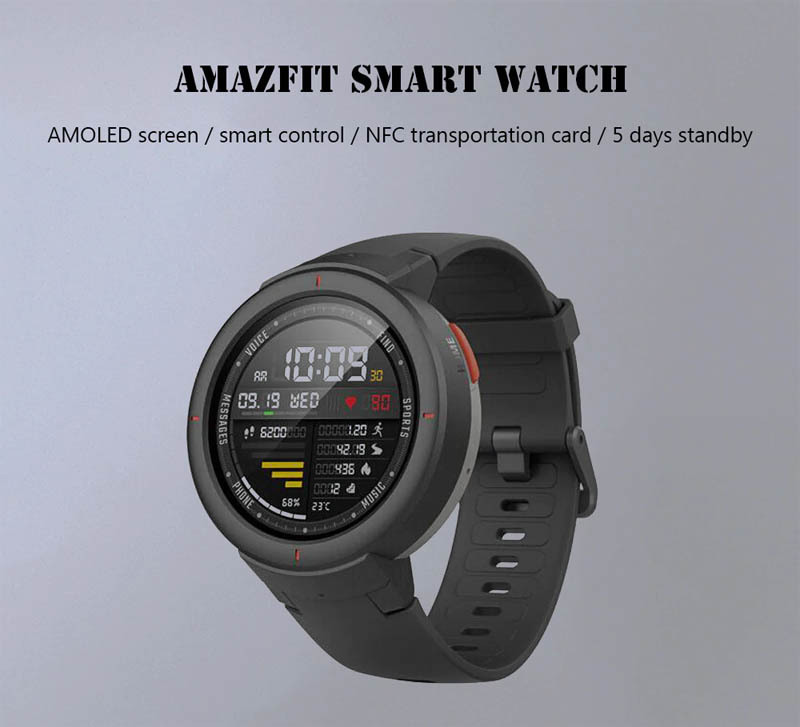 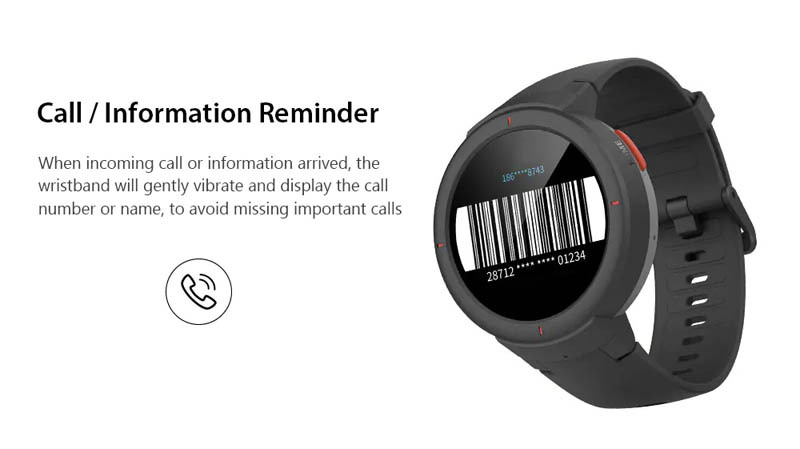 - Heart rate monitor, HRM heart rate monitor function will give you the real-time feedback, let you know about your heart rate anytime and anywhere.